A friend recently referred to me as the female Guy Fieri because of my crazy love affair with diner food. I actually had no problems being bestowed with the title because I much rather sit down to a plate of fluffy pancakes over boring filet mignon any day. I don’t consider myself a foodie at all, but I do appreciate the heart and soul that goes into making simple diner food. 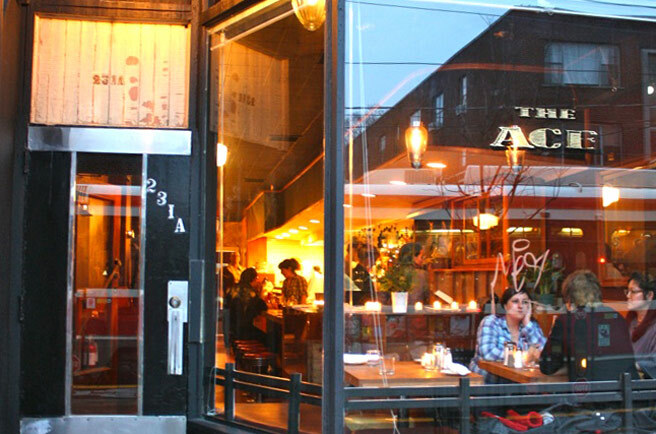 A few weeks ago I suggested to my bestie that we try The Ace – a diner in the Roncesvalles area in Toronto. She was completely cool with it, so we headed in that direction. 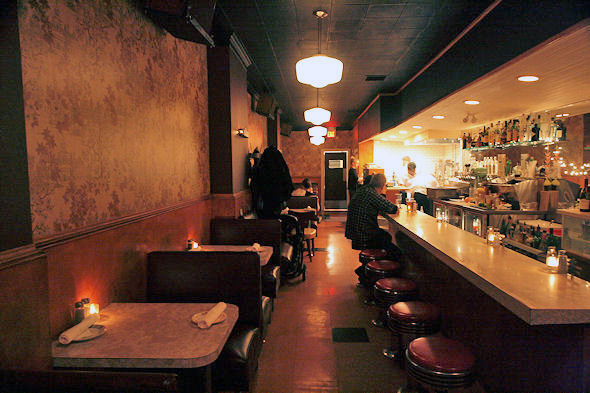 The diner isn’t big or fancy looking, but has a distinctly nostalgic vibe. After getting caught up with my friend, we swiftly scanned the menu. I wasn’t too sure what I wanted, but then something caught my eye- The Fried Egg Sandwich served with Ace-Made Pork Sausage Patty & Parmesan Leek Fondue, on an English muffin, served with crispy home fries. That’s a mouthful, right? After about 20 mins (or less, I can’t remember! ), my meal was lovingly placed right in front of me. Looks good, doesn’t it? Oooh, the entire meal was flawless. The English muffin was super fresh, the egg was fried just the way I like it, and the house made sausage- well, I CAN’T SAY ENOUGH ABOUT IT! It was delicately seasoned and not over-cooked at all. So juicy and tasty – it was, without a doubt, the star of the show. I can’t dismiss the awesomeness of the homefries. They were seriously the best I’ve ever had. They were crispy without being too oily – I would have been satisfied with just a plate of them. Okay, I take that back, I need that whole meal again!